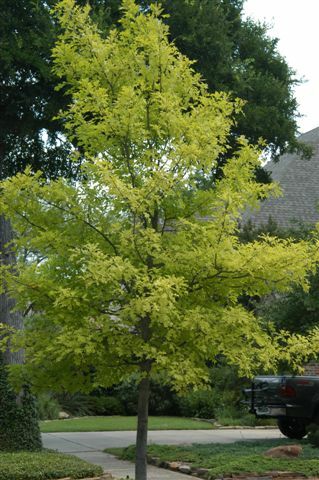 CULTURE: Nuttall Oak - Quercus nuttallii, which is also known by other common names such as red oak, river red oak, pin oak and striped oak, is a similar tree and one of the most rare in Texas. It grows in poorly drained soils and does well in areas where there is winter flooding and year-round moisture. It will not grow in the calcarious soils of north and central Texas. Pin oak won’t grow in either of those situations.